Why, hello there! How was your weekend? We were at a couple of parties in a row and I'm such a light weight these days, I've got a feeling it won't be before Wednesday before I've totally recovered! Mind you it could be the nights in the VW Camper van catching up with us too - it was well worth it though - now I'm totally feeling the retro vibe! 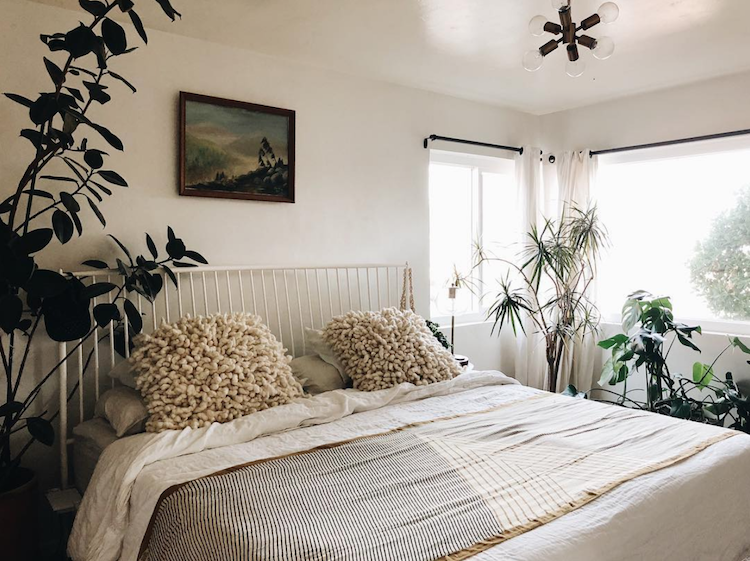 Perhaps that's why I was drawn to the wonderful boho home of Matt and Tish, their twin girls, little boy and dog Lemon in Albuquerque, New Mexico. 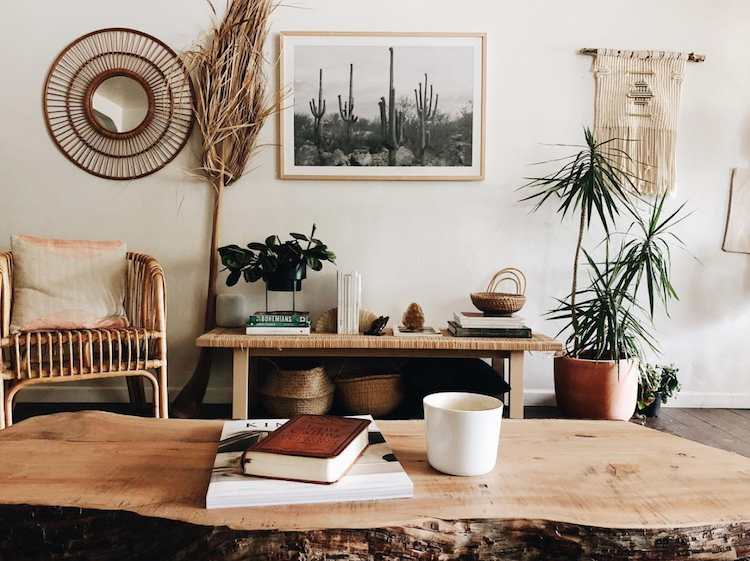 The town is located on the northern tip of the Chihuahuan desert - and it's the 'brown on brown beauty' of the landscape that inspires their beautiful brick and mortar shop, photography and private home, the latter of which is packed with vintage finds, rich textures and a load of 'plant babies'! 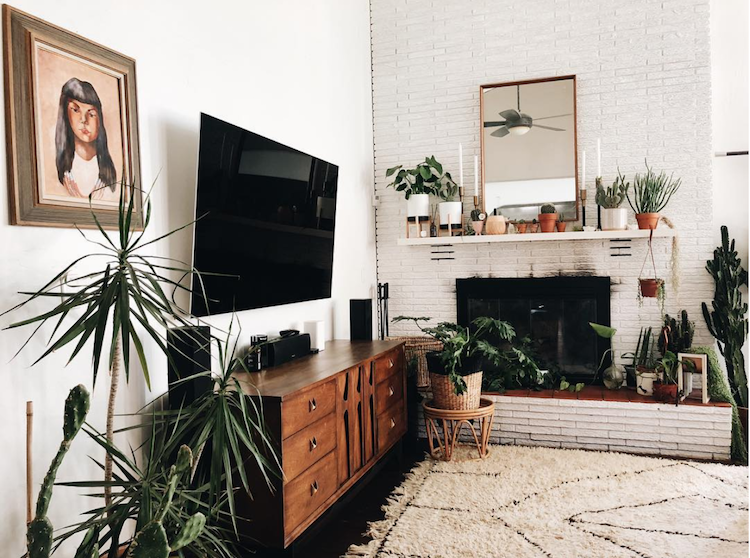 Isn't it great to see a TV in a home tour?! I like the way it's been wall mounted over a lovely vintage chest of drawers that Tish picked up in a local second hand shop. 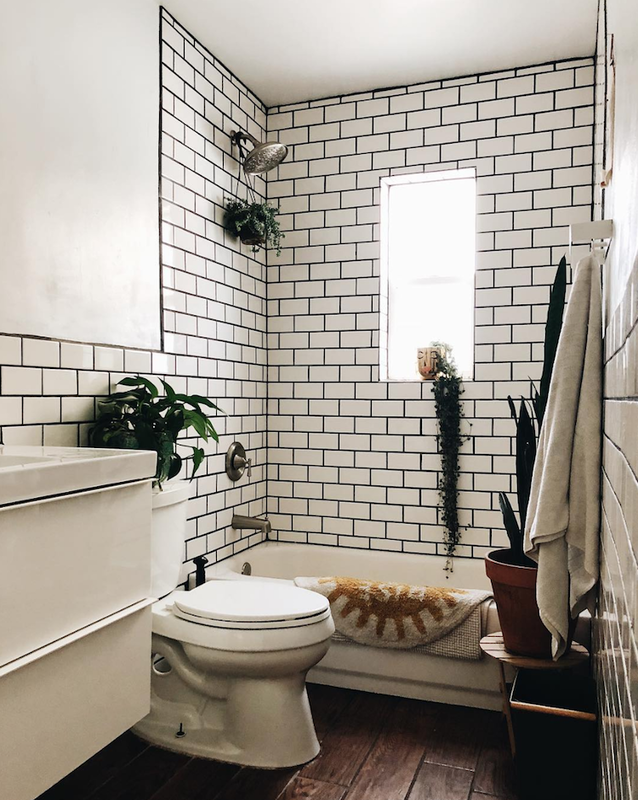 Though she be but little, she is fierce - and I put it down to the striking black grouting and plants! 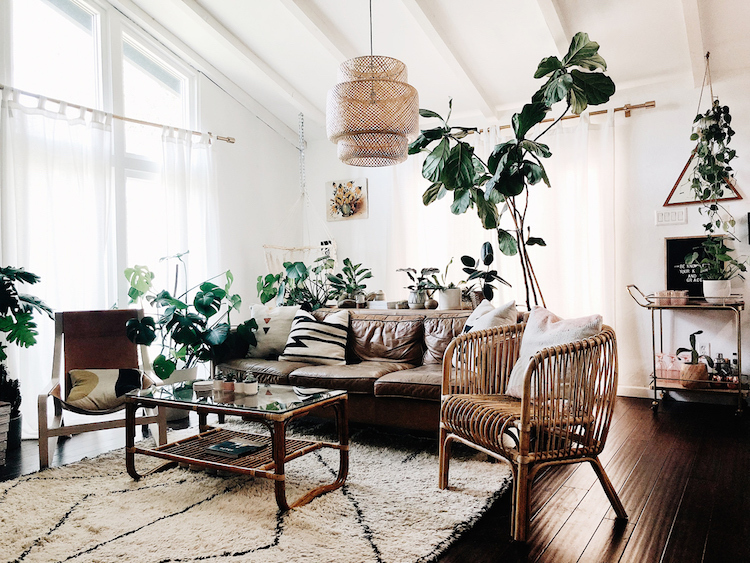 I love the laid back style of Tish and Matt's home, it feels so personal and lived in - just as a family home should be! And how gorgeous is Lemon? 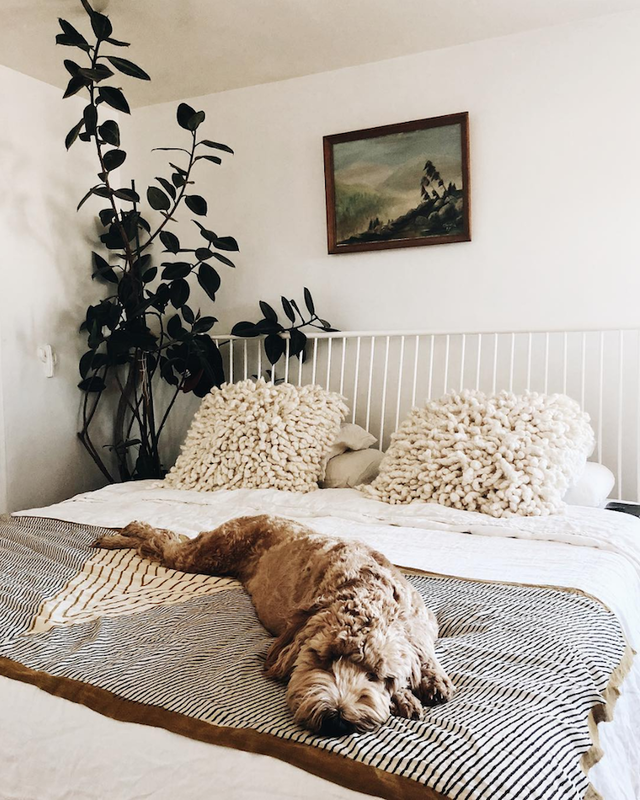 She looks so content on that bed! 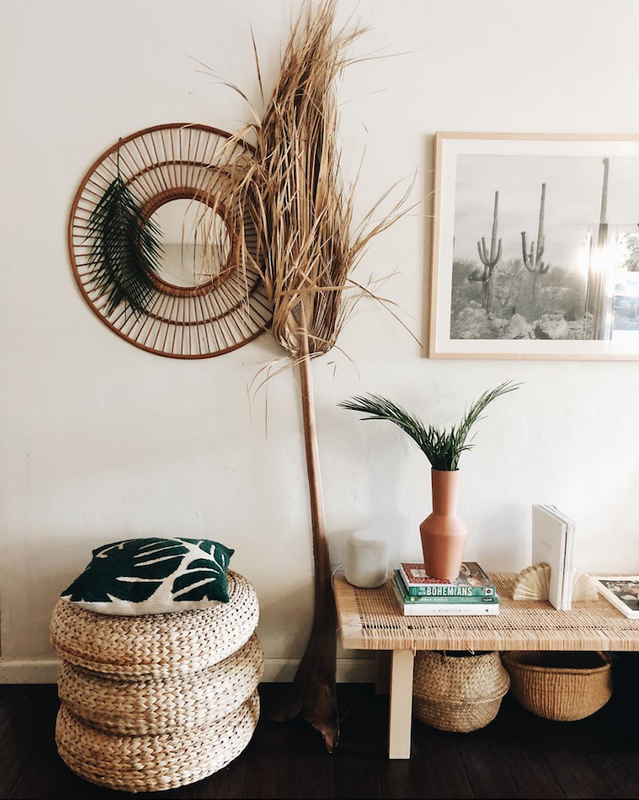 You can check out more pics and get more inspiration from Tish's 'No Longer Wander' blog (which covers health, interiors, fashion and beauty) and instagram feed - and if you're in Albuquerque I'm reckoning it's totally worth nipping into her shop! 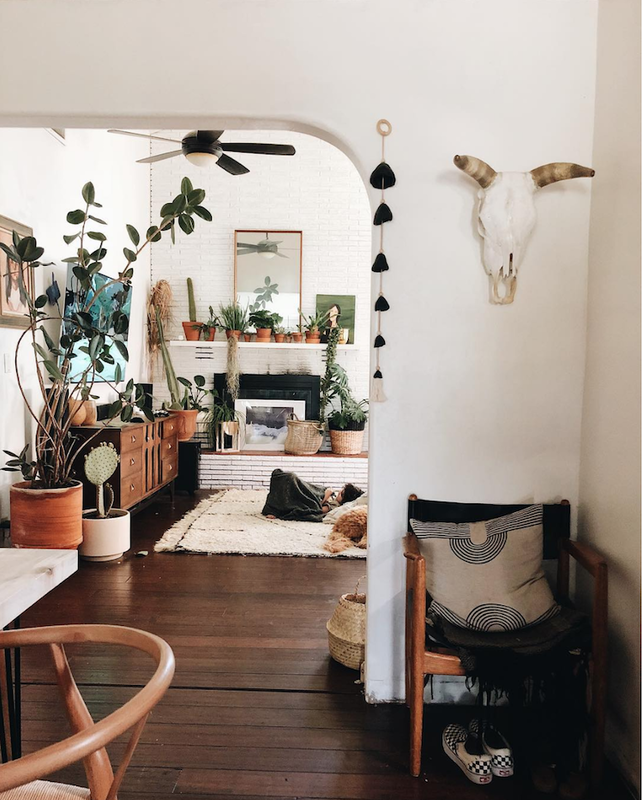 More boho homes today: a family home where Nordic meets boho, a cosy modern bohemian home and a bohemian-style abode in Berlin. We're heading back to Sweden this evening - we've had an amazing time but it is going to be so nice to be home (I miss my bed!) - does it sound strange to say I'm kind of looking forward to a little routine and eating and drinking in a marginally healthy way again (at least until the weekend)?! Photography: No Longer Wander with kind permission. I love the picture above the bed.Other peoples art sometimes drives me daft but I genuinely love that. 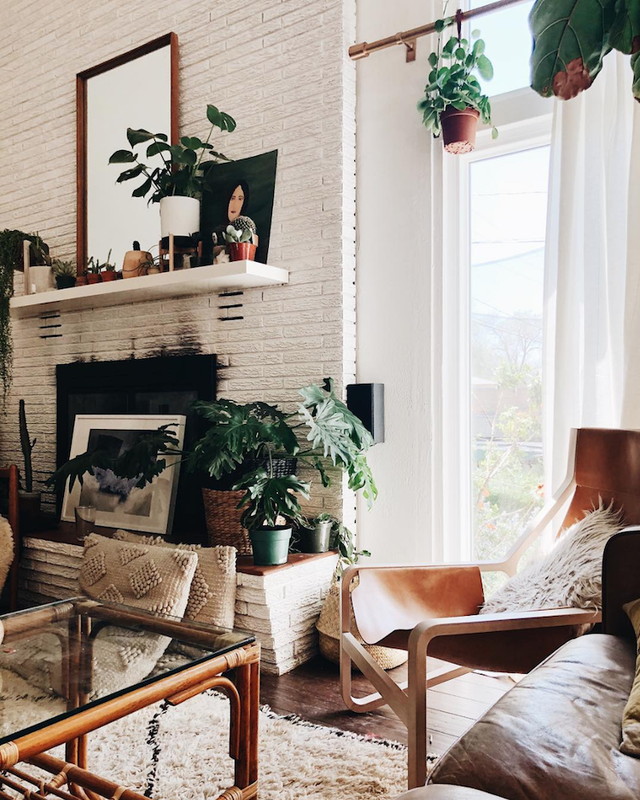 I already knew I needed some indoor plants in my life, and now I feel like I need A LOT of them. They are so lovely in this house! Fantastic article Niki! 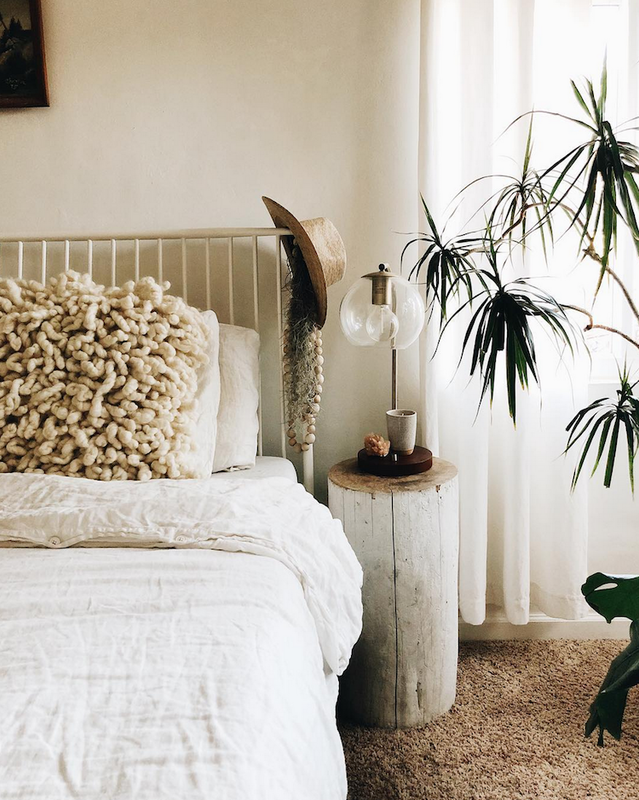 I think a forest theme is a great idea, especially since any home should be a place for relaxation and escapism from the more grueling aspects of life. This home is so gorgeous! I love the wicker accents. Oh wow this home is gorgeous! Love all of it! 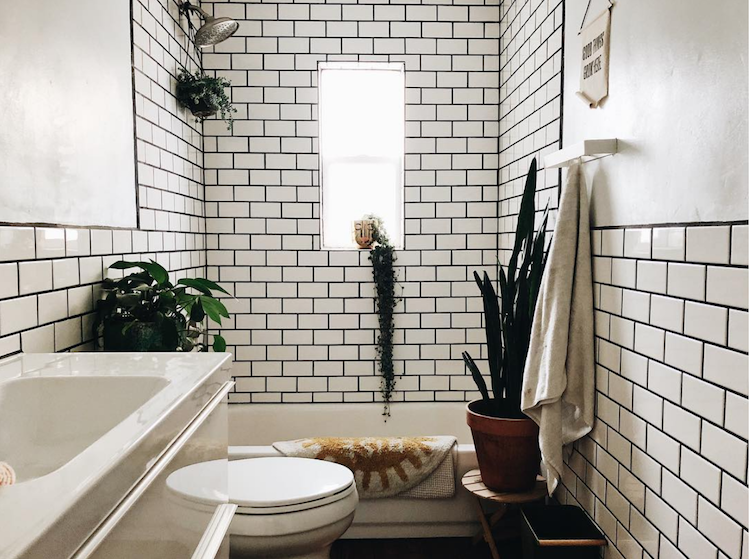 Your ability to implement interior design is very impressive! I work with a lot of handymen in London at the moment and they are always looking for fresh and interesting ideas like this. I especially love the colour pallet you have chosen here. It breathes so much life and vibrancy into the room.